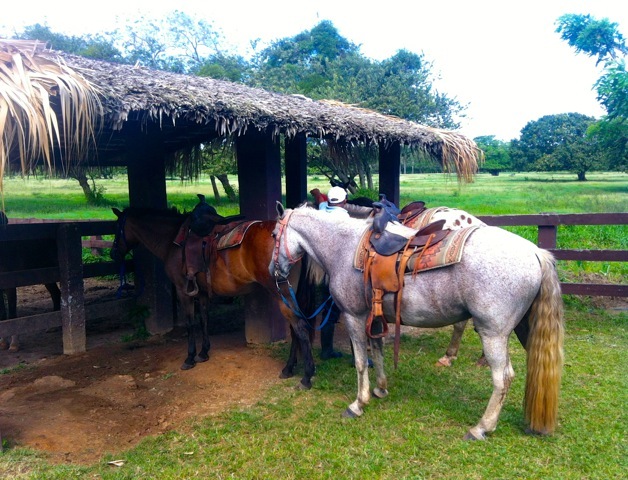 Sea Horse Ranch Equestrian Center is located between the towns of Cabarete and Sosua on the north shore of Dominican Republic, on Route 5. 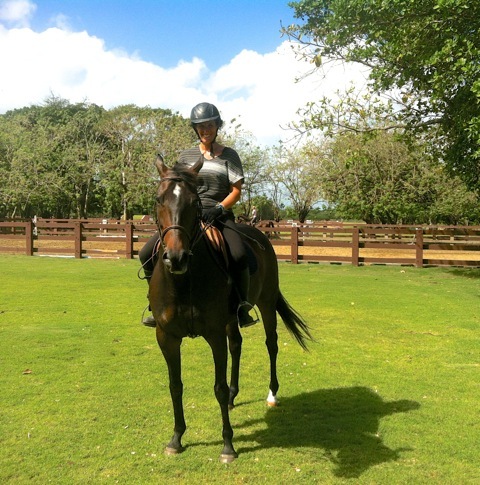 The private ranch not only features lovely privately owned homes which Select Caribbean Properties has for sale and rent, but also a beautiful Equestrian Center. 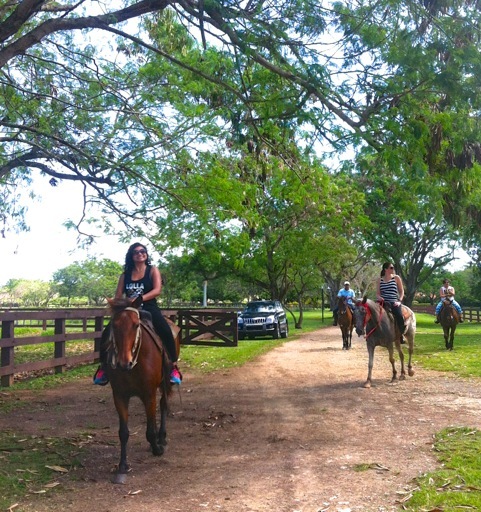 The center is open to the public for horseback riding tours on over 7 miles of bridle paths, trails, and beach. The horses are all well cared for, well trained and patient and are appropriate for novice or experienced riders. Local and visiting horse enthusiasts may hire world class instructors for lessons in riding, dressage, and jump, catering both to advanced riders and novices alike. The Equestrian Center is situated in a luxury residential gated community called Sea Horse Ranch and offers Luxury Caribbean Dream Villas for Sale. One the grounds you will find an enclosed training round pen, jumping arena and two large riding arenas, enclosed stalls and horse bathing areas for the utmost care of the horses. Outdoor horses are allowed to graze freely on large pastures. The center is professionally staffed with full time experienced grooms and farriers and is now managed by Alexandre de Wazieres, from France. Alexandre started his work at the center in January of 2015 and has extensive experience in the horse world, having owned and operated two horse ranches in France. 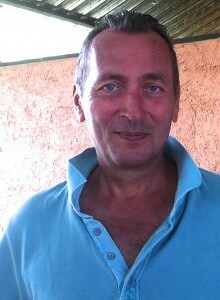 He is a member of the French Equestrian Federation and former president of the regional committee of Nord-Pas de Calais. He is also a medal-holder of the sportsmanship 1999 CDO Olympic departmental committee. The Sea Horse Ranch Equestrian Center office is open from 8 am to 5 pm on weekdays. Living on a farm in the tropical environment on the north shore of the Dominican Republic can afford the owners a life of sustainability, as evident at Henry Mensen’s farm, near Rio San Juan. Having grown up on a farm in Canada, Mensen is a “doer”, with many projects in the works. His enthusiasm is enthralling as he speaks of his many experiences the world over. Settled now in his chosen paradise of Dominican Republic, he has purchased 60 horses and plans to open a trail riding facility using the 35 kilometers of trails he has created among the rolling pasturelands which are strewn with palms and ocean views. 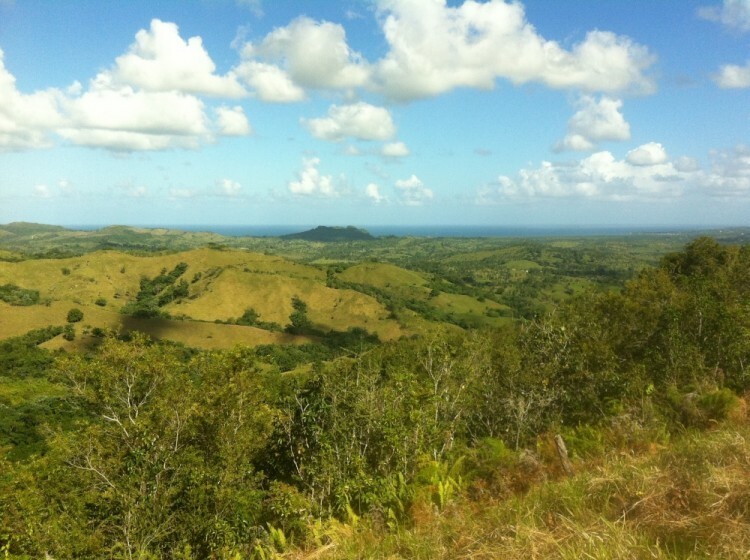 Select Caribbean Properties has a very nice selection of farms for sale in the areas of Cabarete, Jamao al Norte, Rio San Juan, Abreu, and El Breton & Cabrera. 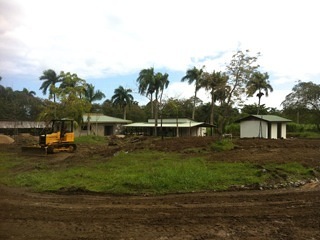 At the Menson farm, you will find plenty of tropical fruit trees growing on the property to feed the household and plans in motion to open a business encompassing the cultural aspect of the local plant called cacao, from which the world’s most favorite treat is made, chocolate. 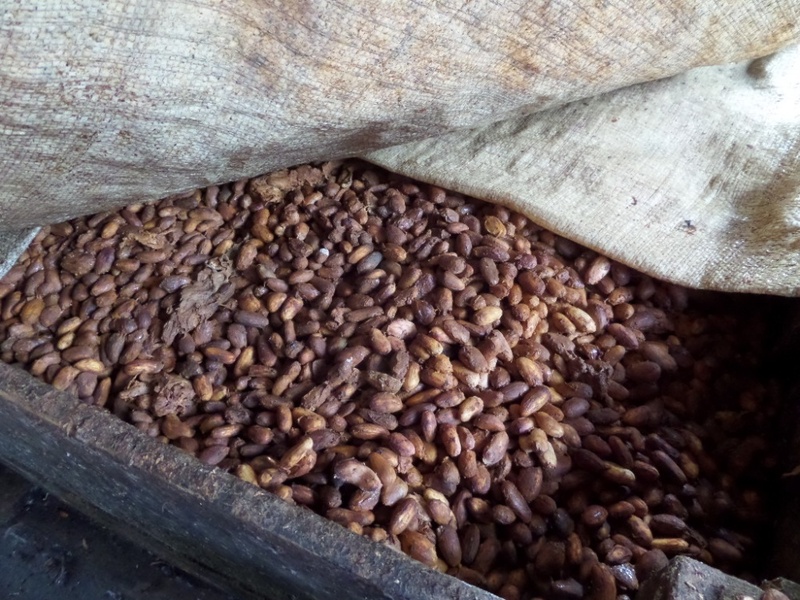 The chocolate factory will be a place where visitors will experience the production of chocolate, from “bean to bar”. Mensen also has plans to open a “general store” and a coffee shop at the entrance of the farm, with buildings taking form already near the roadside entrance. The store will sell produce and products grown on the farm and a longer term dream includes an aquaponic facility to further create a sustainable living environment at the family farm. Many options are available to those who choose to purchase local acreage. People come from all reaches of the world to find their slice of paradise and invest in real estate in the Dominican Republic. With its mild tropical weather, island life affords a year-round growing season and lush green pasturelands for livestock. 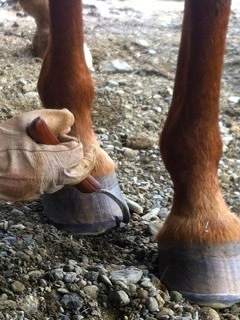 Sabine Mertes, a resident in the Dominican Republic and the principal of Select Caribbean Properties, is another person who has a passionate hobby related to farm life, natural hoof trimming. Not only is she a member of the Pacific Hoof Care Practitioners she is passionate about teaching others about humane care of animals and has personally rescued several horses, a donkey, and many dogs. She boards her horses at Sea Horse Ranch where she sponsors natural hoof trimming workshops, which educates locals and foreigners alike in the basics of natural hoof care. 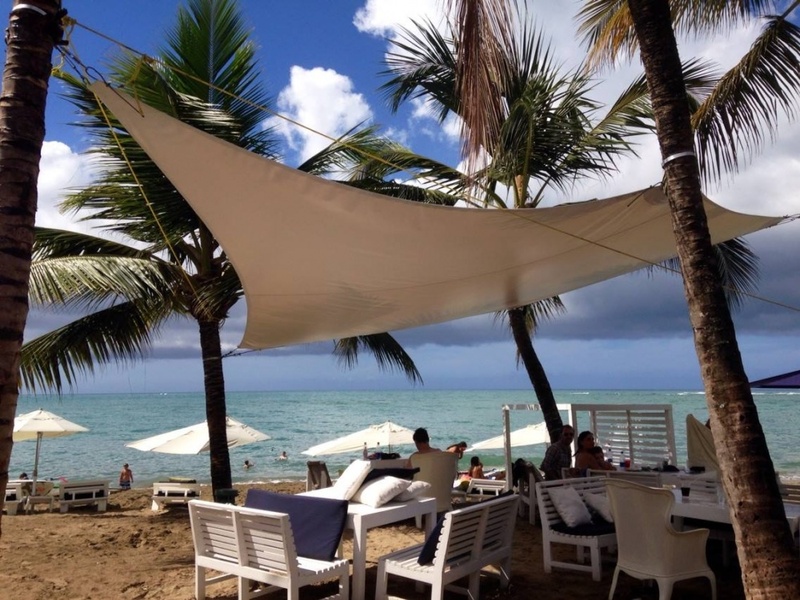 Beachside Eateries in Cabarete – If you are looking for a nice, open-air restaurant on the beach with great views, music, and atmosphere, there are many to choose from at Cabarete Beach in the Dominican Republic. 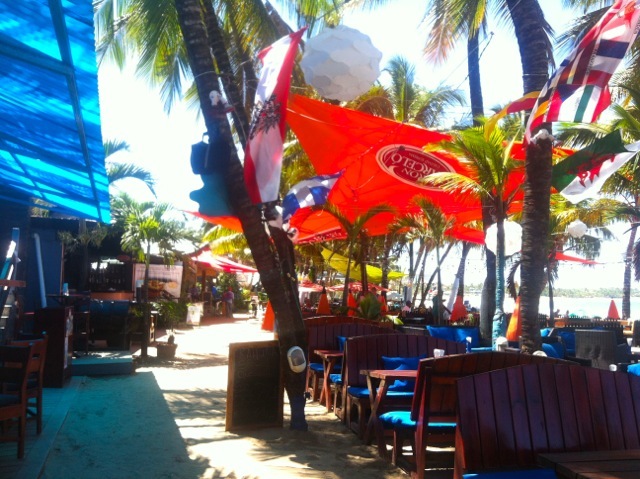 Many restaurants and Beachside Eateries in Cabarete offering 2 for 1 food and drink specials at Happy Hour. Each restaurant offers different times to enjoy these specials. You could virtually find Happy Hour from 12 noon till 12 midnight! 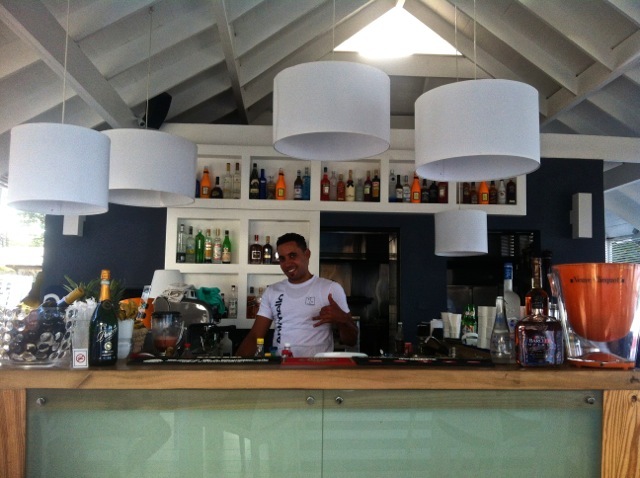 Eze Bar and Beach Restaurant is at the east end of Cabarete beach near the Laser Training Center and offers breakfast, lunch and dinner items. 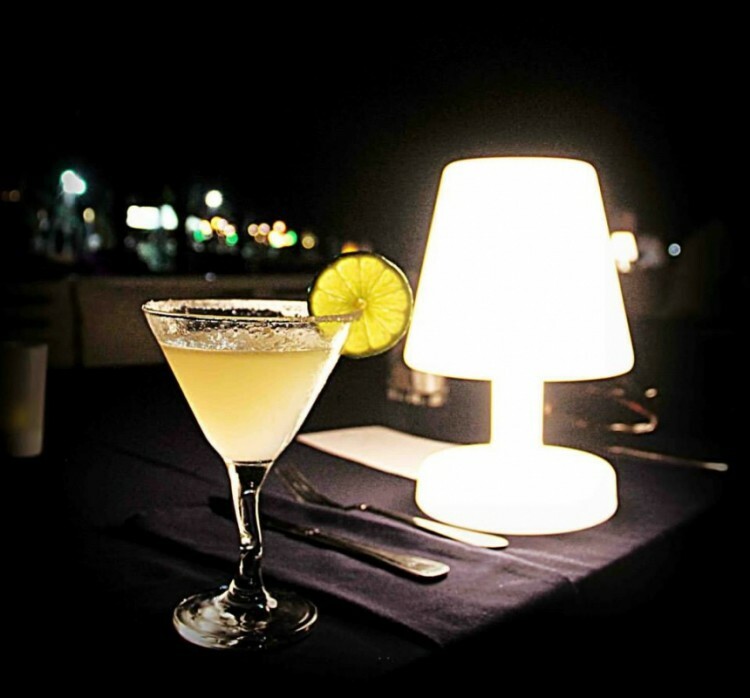 Moving west on the beach you will find Lazy Dog Restaurant offering two Happy Hours per day; 4-6 pm and 10-midnight. Lax Bar offers theirs from 12-2 pm and 4-6 pm. Onno’s offers 2/1 pizza every night, plus 2/1 deals on many drinks. Continue west on your sandy walk and find VoyVoy, Kahuna, Havana Club and Los Gringos. Los Gringos offers Monday night Blues from 7-9 pm. Come enjoy the beauty and appeal of what Cabarete has to offer! Dominican chocolate! See it, Taste it, Enjoy it! Clients are hiring us, because we also talk about fun places to visit while in the Dominican Republic. 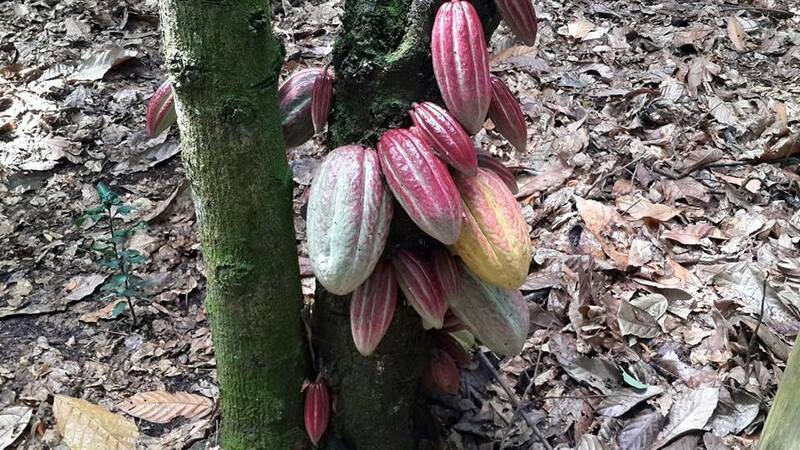 For example, El Sendero del Cacao is a historic pioneer and organic cacao plantation in the heart of the island. 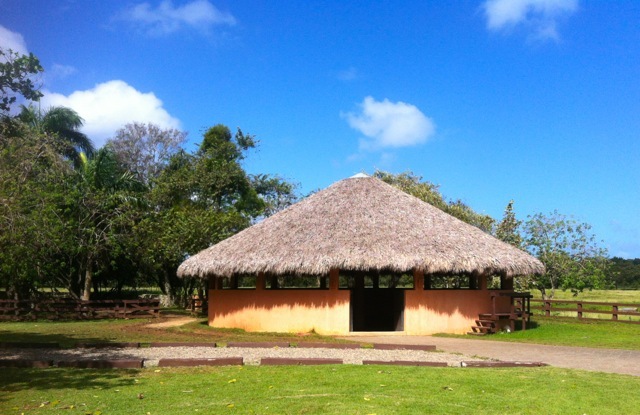 The plantation is about a two-hour drive from Cabarete, and is well worth the effort. Following the coast road east from Cabarete to Gaspar Hernandez, you turn inland and travel up over the mountains, winding your way past the village of Tenares, where you will soon come to your destination. Here you will learn the history of the plantation, from its inception in the mid-1900’s by its original founder, Nazario Rizek, to its development throughout the decades by following generations. You will learn about it’s evolution from basic manual processing to the workings of its current-day modernized facility. The plantation offers three types of tours: “The Classic”, “The Chocolate Lover’s” and the “Chocolate and Culture” tours. 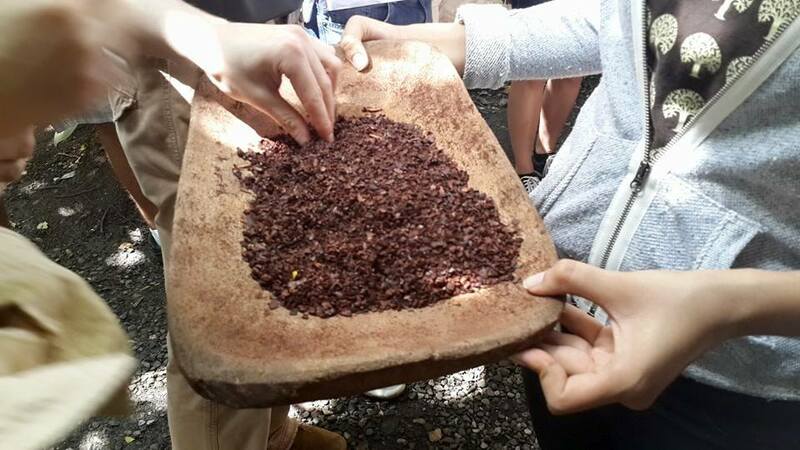 Each tour is designed to give you an interactive education about the cultivation and processing of cacao and the unique ecosystem of the Dominican Republic which allows this special plant to flourish. 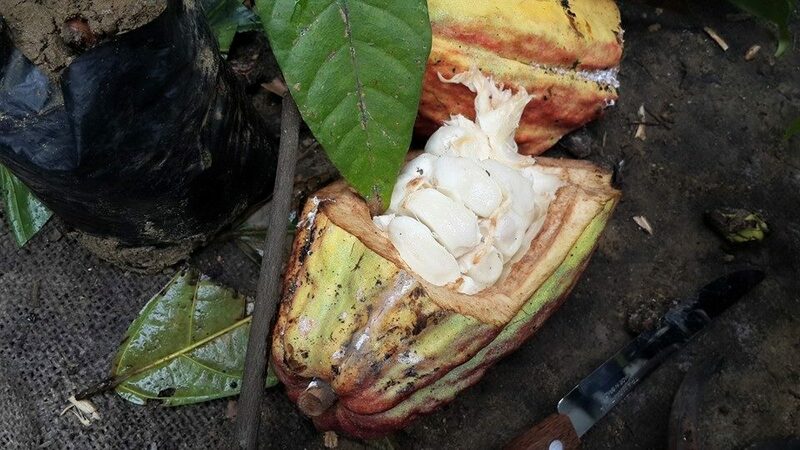 All tours begin with a delicious cup of hot chocolate, include a traditional Dominican lunch, the opportunity to sow your own cacao seedling and even make your own chocolate bar to bring home! 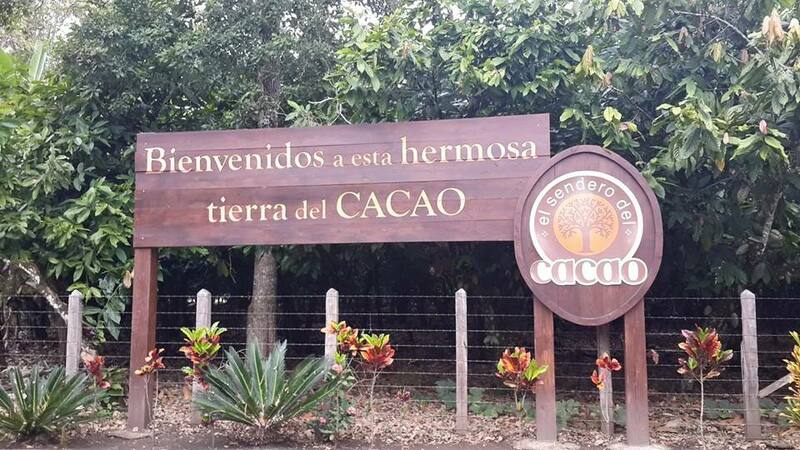 The tours are designed from 1.5 hours to 4 hours long, each providing the visitor with plenty of information about the history of the cacao plant, and production of its cherished end-product, chocolate, a treat which is enjoyed the world over. Where to go in Cabarete, north coast of the Dominican Republic! Hi, I am Janet, a newcomer to the Dominican Republic, on the island of Hispaniola and will tell you where to go in Cabarete. I was pleased to discover many fine gems in the heart of bustling Cabarete beach, on the north shore of the island. It is a nice place to start a new life and a business. Several good opportunities are available for sale. 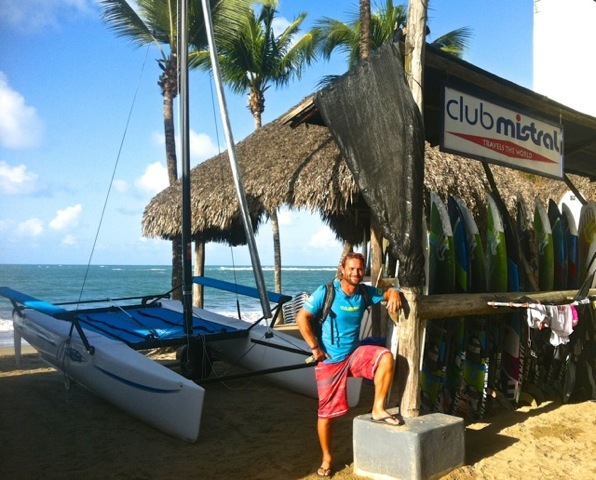 My most recent discovery was a small stretch of beach on the east side of Cabarete which contains four interesting businesses in one convenient location, EZE Beach Bar and Restaurant, The Laser Training Center, Mistral Club Windsurfing and Carib Wind Cabarete clothing store. EZE Beach Bar and Restaurant is a hip little open-air restaurant that offers light fare for breakfast, lunch, and dinner, as well as coffee drinks, beer, wine and mixed drinks. I find the music they play to be relaxing and soothing. Whether you are sitting enjoying a meal or drink, relaxing on a padded wooden recliner under a beach umbrella, flopped on a bean bag chair in the sand, or sitting at a shaded table with friends and family, EZE Beach Bar and Restaurant is sure to please. WiFi is available. Next door is the Laser Training Center which is owned by Ari Barshi. At the center, Laser sailboats for rent are available by the hour or day, Laser clinics and regattas are hosted, and lessons and coaching are offered. The Laser Training Center has hosted many world-class and Olympic sailors, but also welcomes beginners, or those who simply want to improve their Laser sailing skills. 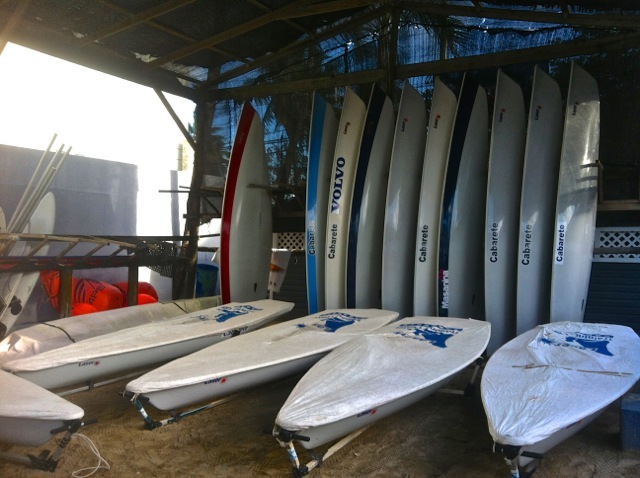 Club Mistral Windsurfing, run by Oli Habermann and Suzanna Hein, is located at the Laser Training Center and offers windsurfing rentals and lesson. They are open year round with daily hours 10 am-6 pm. 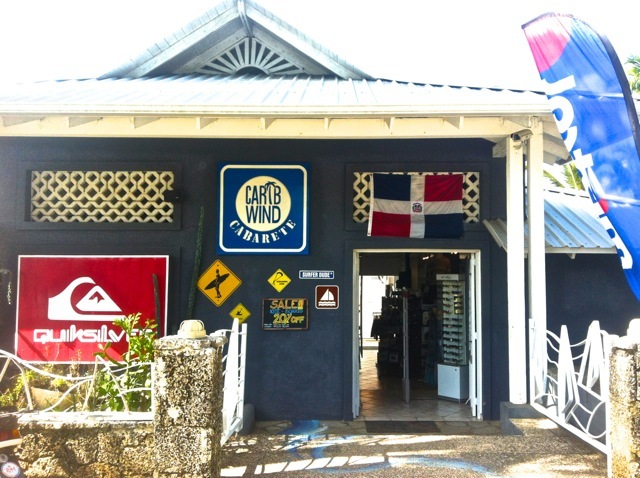 Carib Wind Cabarete clothing store is your one-stop ocean sports equipment and clothing shop. Whether it’s sunglasses, shorts and tops, dresses or flip flops you’re looking for, or kite sailing, windsurfing or sailing equipment, you’ll find it all here. Stop in and take a look around!